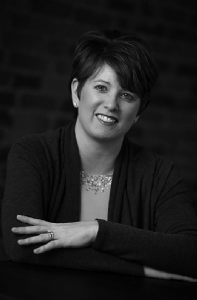 Angie Hicks Bowman, founder of Angie's List and 1995 graduate of DePauw University, will return to her alma mater on Friday, September 28, to deliver a 175th Anniversary Distinguished Alumni Lecture. The program will begin at 4 p.m. in Meharry Hall, which is located within historic East College. The lecture will be among the featured events of Family Weekend and is free and open to everyone. An economics major and Management Fellow at DePauw, Angie Hicks started her business shortly after receiving her bachelor's degree. The company began in 1995 with 1,000 members in Columbus, Ohio. 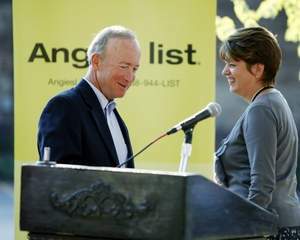 Today more than 1.5 million subscribers across the U.S. submit more than 65,000 reports each month about their consumer experiences and use Angie's List to gain unlimited access to local ratings, exclusive discounts, the Angie's List magazine, the Angie's List complaint resolution service and information about how to make the most of their home improvement projects. She serves on the board of directors of the Governor Robert Orr Fellowship Program, which she helped found in 2001. 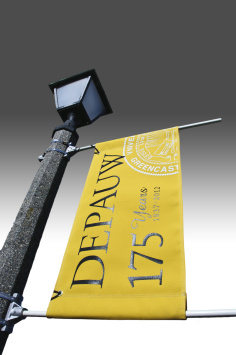 Vernon E. Jordan Jr. '57 delivered the inaugural remarks in February for DePauw University’s 175th Anniversary Distinguished Alumni Lecture Series: A Yearlong DePauw Discourse. The programs will continue through the University's 175th anniversary celebration, which began January 10 and goes through June 2013. Kyle Smitley '07, owner and founder of barley & birch, spoke on March 7, and international development consultant Judith A. Edstrom ’70 and Mary Leonard Ramshaw ’70, deputy managing editor of the Pittsburgh Post-Gazette, addressed an April 11 event. Former astronaut Joe Allen '59 spoke on May 10, and Rev. Kevin Armstrong '82 delivered remarks on June 10 during the Alumni Reunion Weekend celebration. Learn more about the 175th anniversary celebration by clicking here.